The old cliché about the "starving" artist may have a basis in reality, but it isn’t set in stone! 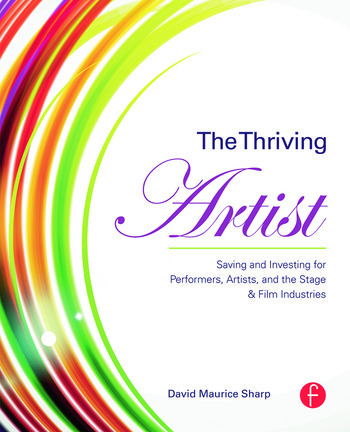 The Thriving Artist provides valuable advice for the performing artist, whether you’re an actor, dancer, lighting guru, costumer, or stagehand, on investing, saving, and building a diversified and stable financial portfolio. Written specifically for artists who have fluctuating, uncertain, and sometimes limited streams of income, this book promotes an understanding of finances and the investment world for the artist by offering clear, basic explanations of how finances work and instruction on how to participate in them as an investor. It also provides unique strategies for integrating financial awareness and planning into your life as an artist, and how that can help to provide a better sense of financial security. With The Thriving Artist, author David Maurice Sharp guides you with unflappable good humor through the tricky financial waters that come with following your passion. David Maurice Sharp is a Lecturer at HB Studio, one of the original acting conservatories in New York City, holding financial planning and investment workshops. As a financial professional, he was the Director of the Public Securities Group for KCC LLC New York branch and a Vice President of Epiq Systems – Financial Balloting Group LLC. He is also an actor, dancer, and choreographer, having guest taught classes at universities including NYU’s Tisch Graduate Film School.